I was inspired by Ann Hamilton, one of my favorite sculptors and installation artists, and the offerings that are made daily in Bali, called Canang Sari. These two very different sources both reminded of alters. So, I went to Rock Creek Park in DC and made a flowing, ghostly space. 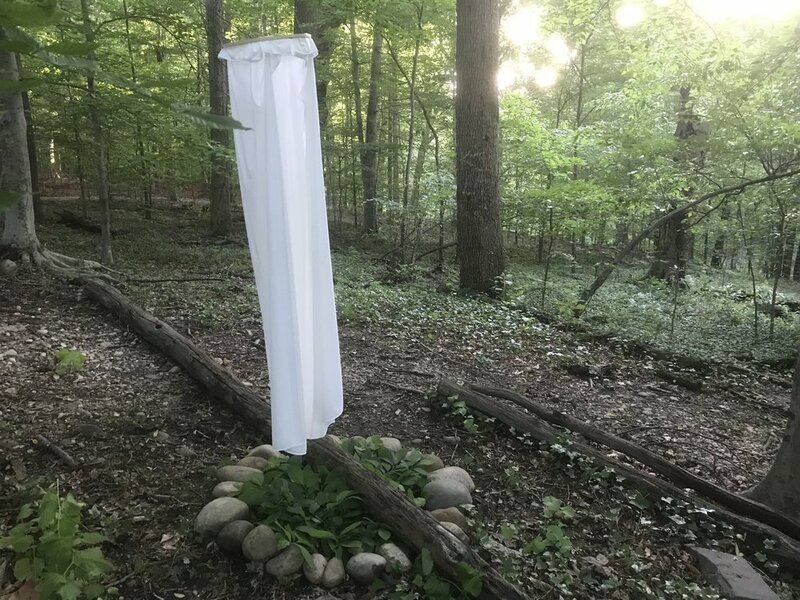 It's a feminine, dancing alter in the woods.